My boyfriend bought the Seagate Backup Plus Desktop Drive (4TB) at the IT Show 2013 at S$249 today. already has 2 WD My Passport Portable hard-disks (2 different versions) and 1 WD My Book, none failed him till date and the oldest hard-disk has been working for as long as 5 years! But this time round, he decided to try the Seagate hard-disk. To be frank, he has read alot of negative feed-backs on the Seagate hard-disks. 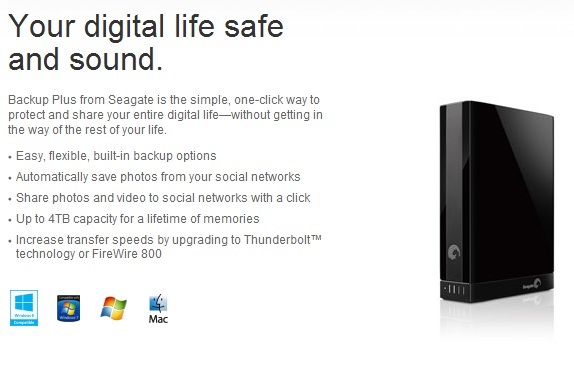 Seagate Backup Plus Desktop Drive comes with a 3 years warranty. 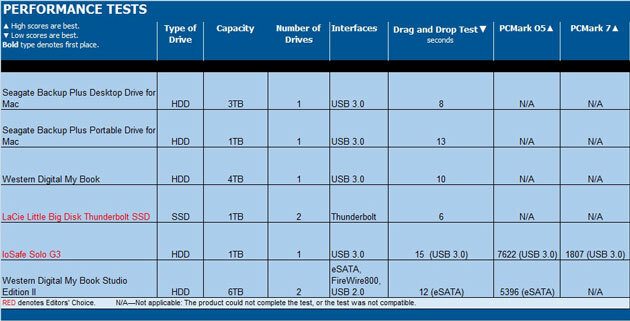 In addition, it is compatible with the new Windows 8, which I think should not be a problem to old hard-disks too. Similarly to the WD My Book, it uses the USB3.0 which provides a speedy transfer. 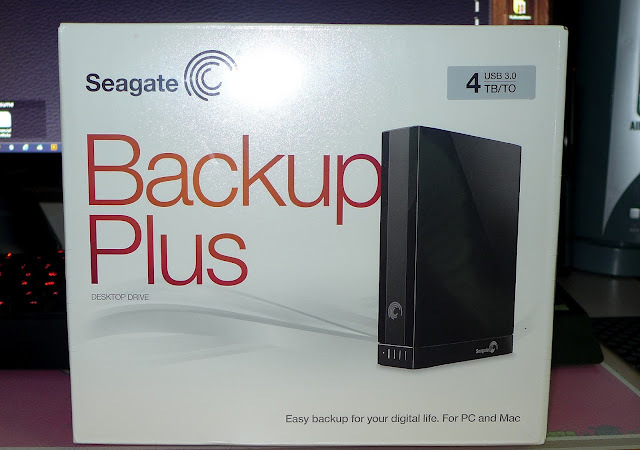 Design-wise, Seagate Backup Plus Desktop Drive looks sleek! Aside from the USB and power ports on the back, there is a row of LEDs on the front of the base that let you know how full the drive is (provided you have the Seagate Dashboard software installed). In contrast, the WD My Book is simple in its design, and only has 1 LED which blinks during usage.